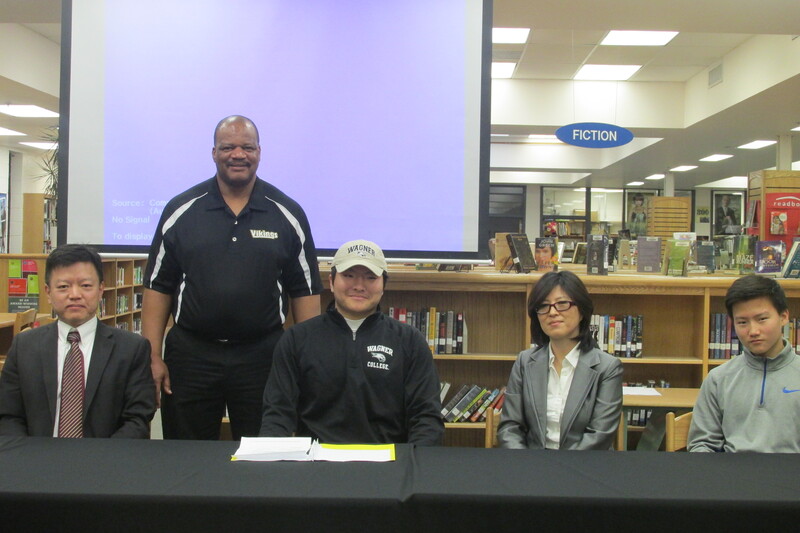 On Feb. 4, senior and Varsity football player YeJun Song sat beside his parents and younger brother as he signed the National Letter of Intent to play football next season at Wagner College in Staten Island, New York. 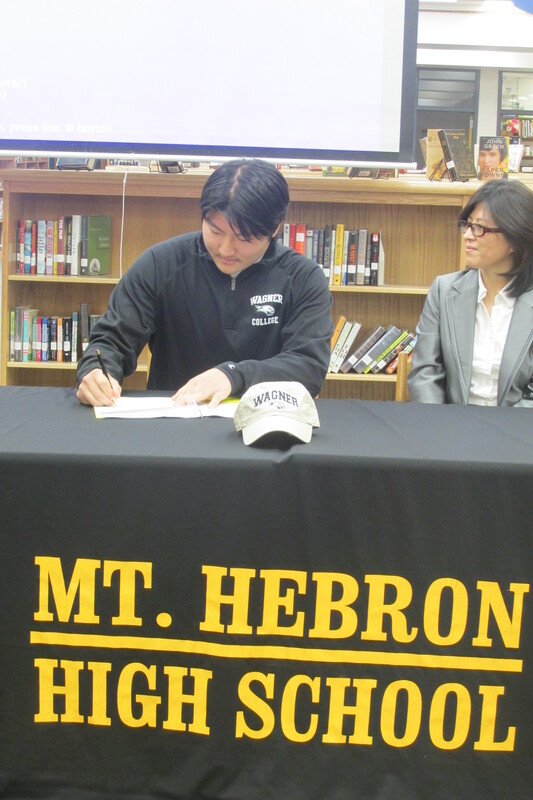 Song signs his National Letter of Intent. Since his sophomore season, Song has been a key player on the Vikings’ defensive line. Besides devoting a lot of time to football, Song hopes to make his college years worthwhile. Having received a full-scholarship to play ball at a Division I FCS school, Song knows his hands will be full on and off the field, but he is up for the challenge. Song poses for a commemorative photo his parents, brother and coach after signing his letter of intent. The Mountain wishes Song all the best of luck in his athletic and academic endeavors in the future.